draw_set_font This function allows you to choose the font that will be used for the text. draw_set_halign This function is used to define the horizontal alignment that will be used. draw_set_valign This function is used to define the vertical alignment that will be used. draw_sprite This function allows you to draw a sprite on the screen. I use it to draw the dialog box’s background as well as the face if there is one. draw_text_ext This function is an improved version of draw_text. It defines when an automatic line break will be made according to the width of the text reached. 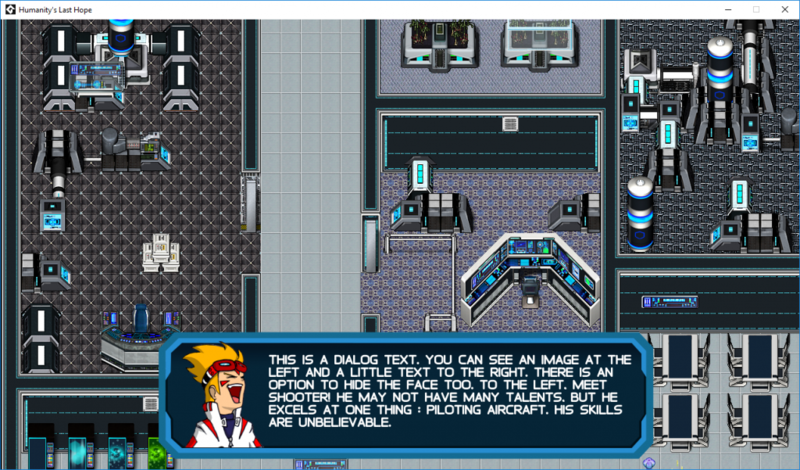 To finish this update, here’s a screenshot of a dialog box test with a face. If you want to comments, it’s here. In the next update, there should be more things to show since I changed my hard drive. If you have questions or comments, you can post it here. Creating a map with GameMaker Studio 2 is very simple. In time to say it, I finished HLB. In all, it took about 3 hours of creation. Thereafter, I began creating small model character to find the right size. After some tests, I concluded that the ideal size is 48 x 72. For now, the character moves on site and all the animations in a loop. In the near future, there will be several characters who will walk around the map to give it a little life. Finally, here is a small screenshot that shows a small part of the base. If you have questions or comments, you can post it here. Hello, in the last week, there was work done at the forum level. For the moment, there are not many sections but we probably add other over time. The most important thing was to be able to give people the possibility to share their ideas, comments, opinion about the website news. Now that the website is finished, we will be able to return to the design of our next game. Our next game is a game that we really care about. This one is called Humanity’s Last Hope. The game will be a vertical “Shoot’em up” game. It will contain a story mode and an arcade mode. The story mode will contain a very humorous story while the arcade mode will allow you to fight as many enemies as possible and make as many points as possible. 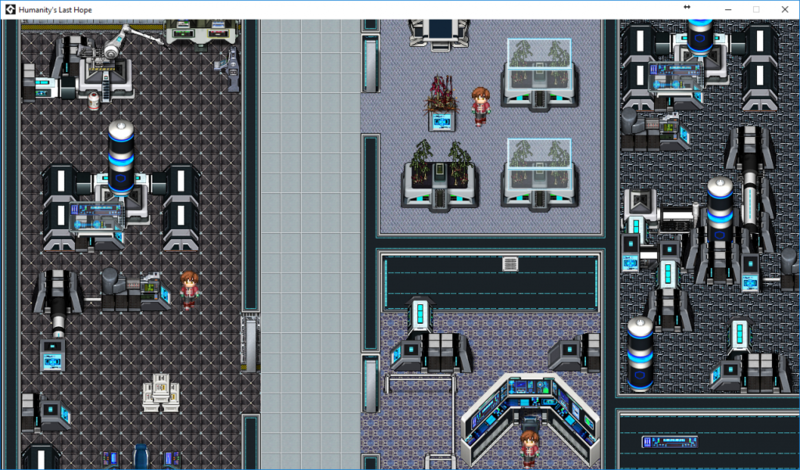 In order to create the game quickly, we decided to create it with GameMaker Studio 2. For the moment, we don’t have screenshot to show you but it will come quickly soon. Monday News #1 : Welcome back ! Hello, welcome to the brand new version of SJS-Studio. This version will be very much focused on the presentation of current and future projects. To get there, there will be updates every week that will be called “Monday News”. Why updates on Monday? Simply because the majority of the work on the games takes place on the weekend. I was inspired a lot by the Factorio website and its “Factorio Friday Facts”. I find that it allows to regularly share the progress of a project. This week, most of the work was done on the website. I found a logo as well as a theme for WordPress much more professional than before. I rework the main menu to find the information quickly. There are still a few things to improve, especially in the forum, but everything is easily accessible. In a few weeks, it will be possible to comment the news directly on our discussion forum.